A workshop for some schools in the West Kent hub took place on Thursday 13 October at Sevenoaks School. 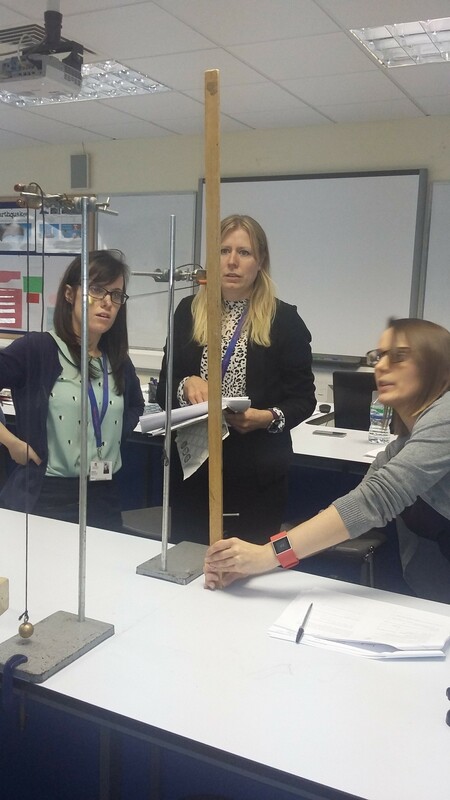 Five teachers took part with the afternoon led by Steve Sharp of the Sevenoaks Physics department. Experiments included a ‘demolition ball’ to demonstrate energy transfer; a pea shooter experiment: finding the muzzle velocity of a propelled ball bearing; powering a grandfather clock (capturing the pendulum’s energy loss per cycle) and a chalk and talk session, ‘Which ski run is the fastest?’ combining energy transfer with motion graphs. The West Kent hub meets twice a term and a number of local schools are involved.